Explanation.—Where the Houses of the Legislature of a State having a Legislative Council are summoned to reassemble on different dates, the period of six weeks shall be reckoned from the later of those dates for the purposes of this clause. 214. High Courts for States.—There shall be a High Court for each State. 215. High Courts to be courts of record.—Every High Court shall be a court of record and shall have all the powers of such a court including the power to punish for contempt of itself. 216. Constitution of High Courts.—Every High Court shall consist of a Chief Justice and such other Judges as the President may from time to time deem it necessary to appoint. (b) has for at least ten years been an advocate of a High Court or of two or more such Courts in succession. 218. Application of certain provisions relating to Supreme Court to High Courts.— The provisions of clauses (4) and (5) of article 124 shall apply in relation to a High Court as they apply in relation to the Supreme Court with the substitution of references to the High Court for references to the Supreme Court. 219. Oath or affirmation by Judges of High Courts.—Every person appointed to be a Judge of a High Court shall, before he enters upon his office, make and subscribe before the Governor of the State, or some person appointed in that behalf by him, an oath or affirmation according to the form set out for the purpose in the Third Schedule. 220. Restriction on practice after being a permanent Judge.—No person who, after the commencement of this Constitution, has held office as a permanent Judge of a High Court shall plead or act in any court or before any authority in India except the Supreme Court and the other High Courts. Explanation.—In this article, the expression “High Court” does not include a High Court for a State specified in Part B of the First Schedule as it existed before the commencement of the Constitution (Seventh Amendment) Act, 1956. 221. Salaries, etc., of Judges.—(1) There shall be paid to the Judges of each High Court such salaries as may be determined by Parliament by law and, until provision in that behalf is so made, such salaries as are specified in the Second Schedule. 222. Transfer of a Judge from one High Court to another.—(1) The President may, after consultation with the Chief Justice of India, transfer a Judge from one High Court to any other High Court. 223. Appointment of acting Chief Justice.—When the office of Chief Justice of a High Court is vacant or when any such Chief Justice is, by reason of absence or otherwise, unable to perform the duties of his office, the duties of the office shall be performed by such one of the other Judges of the Court as the President may appoint for the purpose. 224. Appointment of additional and acting Judges.—(1) If by reason of any temporary increase in the business of a High Court or by reason of arrears of work therein, it appears to the President that the number of the Judges of that Court should be for the time being increased, the President may appoint duly qualified persons to be additional Judges of the Court for such period not exceeding two years as he may specify. 226. Power of High Courts to issue certain writs.—(1) Notwithstanding anything in article 32 every High Court shall have power, throughout the territories in relation to which it exercises jurisdiction, to issue to any person or authority, including in appropriate cases, any Government, within those territories directions, orders or writs, including writs in the nature of habeas corpus, mandamus, prohibition, quo warranto and certiorari, or any of them, for the enforcement of any of the rights conferred by Part III and for any other purpose. 226A. 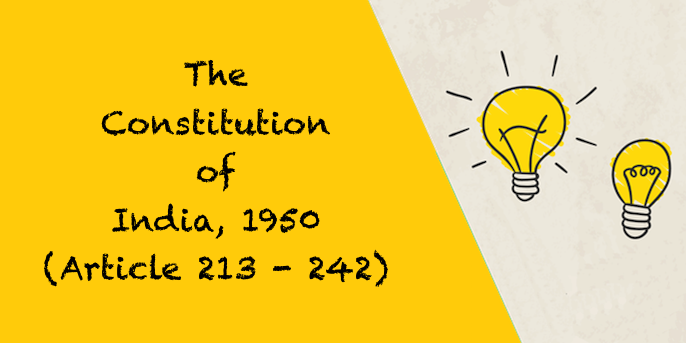 [Constitutional validity of Central laws not to be considered in proceedings under article 226.] Rep. by the Constitution (Forty-third Amendment) Act, 1977, s. 8 (w.e.f. 13-4-1978). 227. Power of superintendence over all courts by the High Court.—(1) Every High Court shall have superintendence over all courts and tribunals throughout the territories in relation to which it exercises jurisdiction. Provided that any rules made, forms prescribed or tables settled under clause (2) or clause (3) shall not be inconsistent with the provision of any law for the time being in force, and shall require the previous approval of the Governor. (b) determine the said question of law and return the case to the court from which the case has been so withdrawn together with a copy of its judgment on such question, and the said court shall on receipt thereof proceed to dispose of the case in conformity with such judgment. 228A. [Special provisions as to disposal of questions relating to constitutional validity of State laws.] Rep. by the Constitution (Forty-third Amendment) Act, 1977, s. 10 (w.e.f. 13-4-1978). 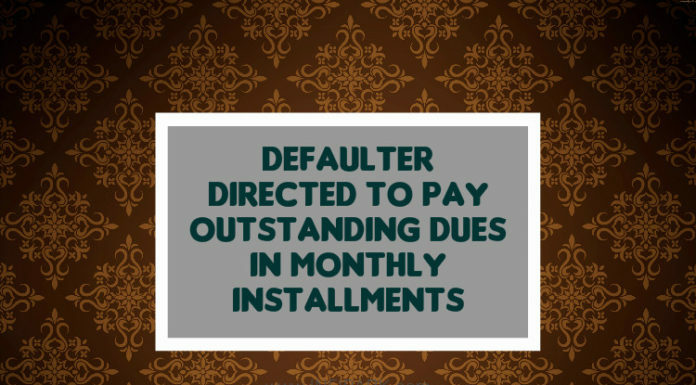 Provided that the Governor of the State may by rule require that in such cases as may be specified in the rule no person not already attached to the Court shall be appointed to any office connected with the Court save after consultation with the State Public Service Commission. Provided that the rules made under this clause shall, so far as they relate to salaries, allowances, leave or pensions, require the approval of the Governor of the State. 230. Extension of jurisdiction of High Courts to Union territories.—(1) Parliament may by law extend the jurisdiction of a High Court to, or exclude the jurisdiction of a High Court from, any Union territory. 231. Establishment of a common High Court for two or more States.—(1) Notwithstanding anything contained in the preceding provisions of this Chapter, Parliament may by law establish a common High Court for two or more States or for two or more States and a Union territory. 233. Appointment of district judges.—(1) Appointments of persons to be, and the posting and promotion of, district judges in any State shall be made by the Governor of the State in consultation with the High Court exercising jurisdiction in relation to such State. (b) no jurisdiction exercised, no judgment, decree, sentence or order passed or made, and no other act or proceedings done or taken, before the commencement of the Constitution (Twentieth Amendment) Act, 1966 by, or before, any person appointed, posted, promoted or transferred as a district judge in any State otherwise than in accordance with the provisions of article 233 or article 235 shall be deemed to be illegal or invalid or ever to have become illegal or invalid by reason only of the fact that such appointment, posting, promotion or transfer was not made in accordance with the said provisions. 234. Recruitment of persons other than district judges to the judicial service.—Appointments of persons other than district judges to the judicial service of a State shall be made by the Governor of the State in accordance with rules made by him in that behalf after consultation with the State Public Service Commission and with the High Court exercising jurisdiction in relation to such State. 235. Control over subordinate courts.— The control over district courts and courts subordinate thereto including the posting and promotion of, and the grant of leave to, persons belonging to the judicial service of a State and holding any post inferior to the post of district judge shall be vested in the High Court, but nothing in this article shall be construed as taking away from any such person any right of appeal which he may have under the law regulating the conditions of his service or as authorising the High Court to deal with him otherwise than in accordance with the conditions of his service prescribed under such law. (b) the expression “judicial service” means a service consisting exclusively of persons intended to fill the post of district judge and other civil judicial posts inferior to the post of district judge. 237. Application of the provisions of this Chapter to certain class or classes of magistrates.—The Governor may by public notification direct that the foregoing provisions of this Chapter and any rules made thereunder shall with effect from such date as may be fixed by him in that behalf apply in relation to any class or classes of magistrates in the State as they apply in relation to persons appointed to the judicial service of the State subject to such exceptions and modifications as may be specified in the notification. 239. Administration of Union territories.—(1) Save as otherwise provided by Parliament by law, every Union territory shall be administered by the President acting, to such extent as he thinks fit, through an administrator to be appointed by him with such designation as he may specify. (2) Notwithstanding anything contained in Part VI, the President my appoint the Governor of a State as the administrator of an adjoining Union territory, and where a Governor is so appointed, he shall exercise his functions as such administrator independently of his Council of Ministers. 239AA. Special provisions with respect to Delhi.—(1) As from the date of commencement of the Constitution (Sixty-ninth Amendment) Act, 1991, the Union territory of Delhi shall be called the National Capital Territory of Delhi (hereafter in this Part referred to as the National Capital Territory) and the administrator thereof appointed under article 239 shall be designated as the Lieutenant Governor. (c) The provisions of articles 324 to 327 and 329 shall apply in relation to the National Capital Territory, the Legislative Assembly of the National Capital Territory and the members thereof as they apply, in relation to a State, the Legislative Assembly of a State and the members thereof respectively; and any reference in articles 326 and 329 to “appropriate Legislature” shall be deemed to be a reference to Parliament. 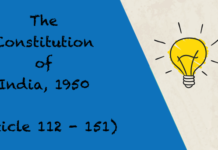 (3) (a) Subject to the provisions of this Constitution, the Legislative Assembly shall have power to make laws for the whole or any part of the National Capital Territory with respect to any of the matters enumerated in the State List or in the Concurrent List in so far as any such matter is applicable to Union territories except matters with respect to Entries 1, 2 and 18 of the State List and Entries 64, 65 and 66 of that List in so far as they relate to the said Entries 1, 2 and 18. (5) The Chief Minister shall be appointed by the President and other Ministers shall be appointed by the President on the advice of the Chief Minister and the Ministers shall hold office during the pleasure of the President. (7) (a) Parliament may, by law, make provisions for giving effect to, or supplementing the provisions contained in the foregoing clauses and for all matters incidental or consequential thereto. (b) Any such law as is referred to in sub-clause (a) shall not be deemed to be an amendment of this Constitution for the purposes of article 368 notwithstanding that it contains any provision which amends or has the effect of amending, this Constitution. (8) The provisions of article 239B shall, so far as may be, apply in relation to the National Capital Territory, the Lieutenant Governor and the Legislative Assembly, as they apply in relation to the Union territory of Pondicherry, the administrator and its Legislature, respectively; and any reference in that article to “clause (1) of article 239A” shall be deemed to be a reference to this article or article 239AB, as the case may be. (3) If and so far as an Ordinance under this article makes any provision which would not be valid if enacted in an Act of the Legislature of the Union territory made after complying with the provisions in that behalf contained in any such law as is referred to in clause (1) of article 239A, it shall be void. Provided further that whenever the body functioning as a Legislature for the Union territory of Pondicherry is dissolved, or the functioning of that body as such Legislature remains suspended on account of any action taken under any such law as is referred to in clause (1) of article 239A, the President may, during the period of such dissolution or suspension, make regulations for the peace, progress and good government of that Union territory. (2) Any regulation so made may repeal or amend any Act made by Parliament or any other law which is for the time being applicable to the Union territory and, when promulgated by the President, shall have the same force and effect as an Act of Parliament which applies to that territory. 241. High Courts for Union territories—(1) Parliament may by law constitute a High Court for a Union territory or declare any court in any such territory to be a High Court for all or any of the purposes of this Constitution. 242. [Coorg.] Rep. by the Constitution (Seventh Amendment) Act, 1956, s. 29 and Sch.